If a tour to Israel is something you would like to consider, we invite you to join us at the TBN Hillsong Worship Experience Tour 2017. This unique tour will be taking place from 18 April to 28 April 2017. This tour will lead you in the footsteps of Jesus as you step into the pages of the Bible and will also give you the opportunity to worship God in Jerusalem, Galilee and Caesarea. Click here for more details about the tour. Follow us over the next few weeks as we share about the various significant sites in Israel that you will be visiting. The glorious charm of the Old City of Jerusalem that cannot be found anywhere else in the world. The Old City brims with opportunities for you to connect with the city’s magnificent past, history, culture and spirituality. 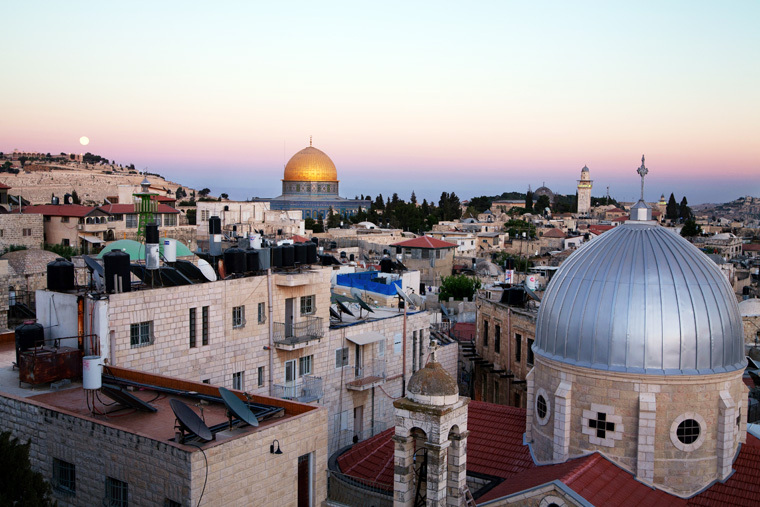 Originally built by King David in 1004 B.C.E., the Old City has always been considered the center of the world. Ancient maps show the three continents known at the time: Europe, Asia, and Africa with Jerusalem at their center. As a pilgrim, walking through the narrow streets and alleys within the Old City, you are passing through history and tracing the footsteps of Jesus, Him being at the center of it all. The very walls and stones of the Old City relate many time-honored biblical tales. The Old City is home to many significant biblical sites including Temple Mount, Western Wall and Via Dolorosa. 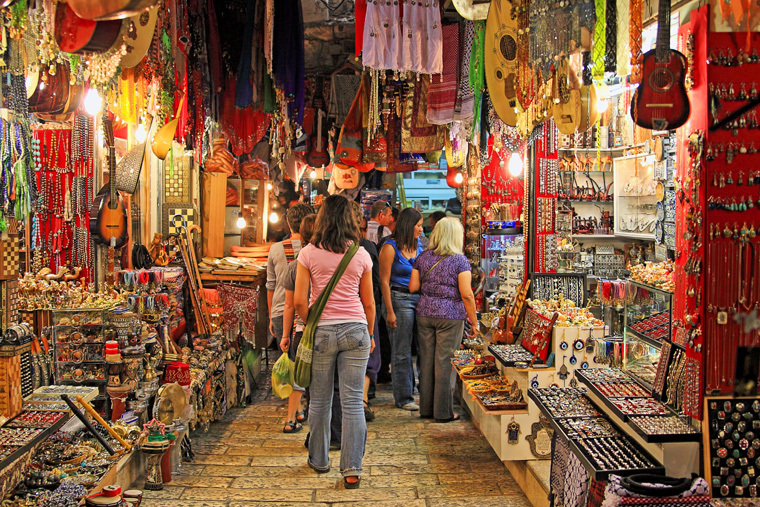 Besides the city’s rich history, the captivating beauty of the Old City also comes from its colorful markets and the maze of pathways that leave many wanting to explore more. 1-2 When they said, “Let’s go to the house of God,” my heart leaped for joy. And now we’re here, O Jerusalem, inside Jerusalem’s walls! To give thanks to the name of God— this is what it means to be Israel. Thrones for righteous judgment are set there, famous David-thrones. 6-9 Pray for Jerusalem’s peace! Prosperity to all you Jerusalem-lovers! Friendly insiders, get along! Hostile outsiders, keep your distance! For the sake of my family and friends, I say it again: live in peace! For the sake of the house of our God, God, I’ll do my very best for you. You want to come to Jerusalem because at the Mount of Olives you can behold the city spread out before you. God said of it, “My Name shall be there” (1 Kings 8:29). You want to be on that spot where the Angel of the Lord stopped Abraham from laying his hand on his son Isaac. You want to stand at Golgotha and behold an empty tomb. You want to walk up the steps leading to the Temple where Jesus once climbed. Because this is what you seek, this is what leads you to Jerusalem. Sign up with us today and get ready to experience an intimate time of praise and worship with our Lord Jesus in the land of His promise led by Hillsong UNITED! Catch a glimpse of Hillsong UNITED worshiping at the Old City of Jerusalem and Golan Heights. I am interested in finding out more about the Hillsong Israel Worship experience. Would you be able to send more details including costs? Thank you for your enquiry! We will contact you shortly with the details. 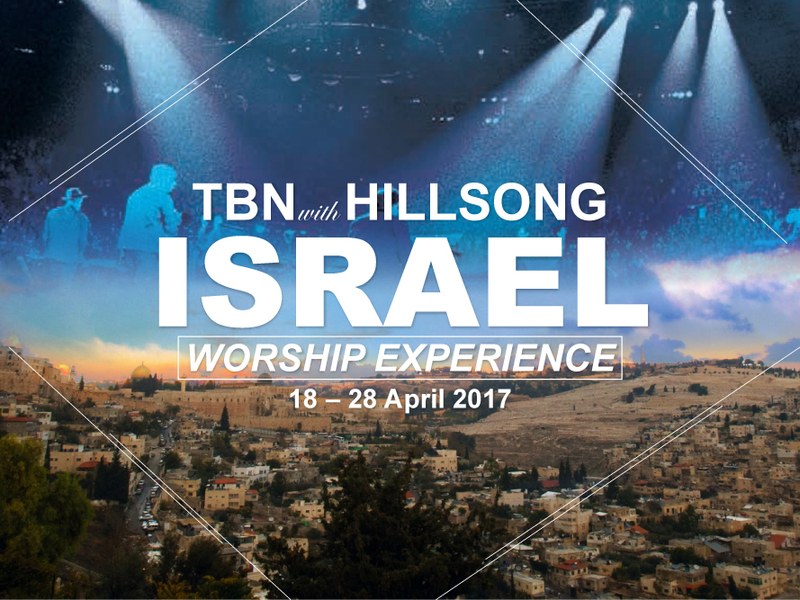 Please email me info on TBN with Hillsong Israel worship 18-27 April 2017 , registration forms and costs involved.